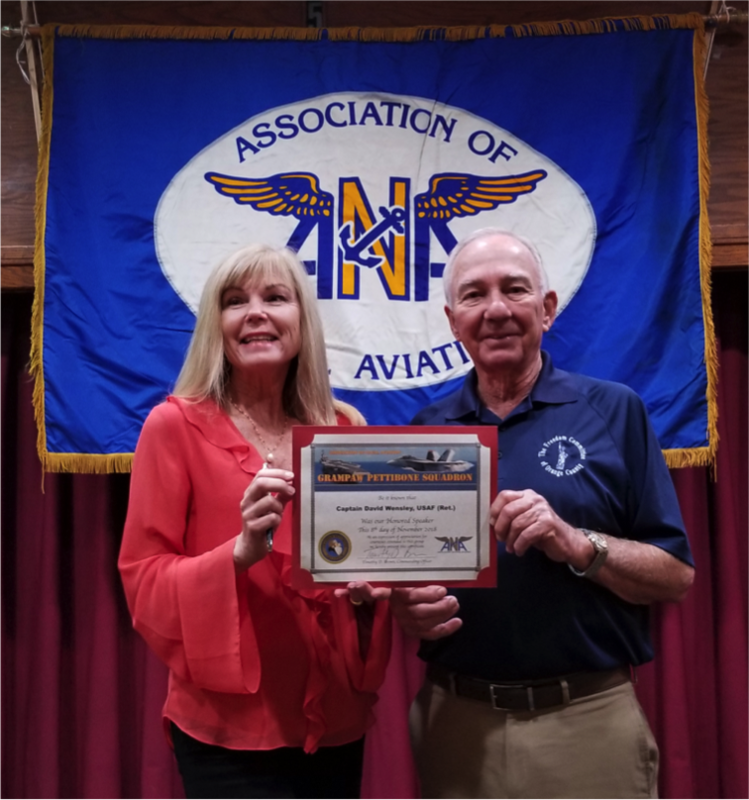 The Grampaw Pettibone Squadron was honored to have our guest speaker, Mr. Dave Wensley share his experience as a USAF, F-86D Air Defense pilot during the Cold War. Cindy Macha, GPS Ops Officer introduced our speaker. Our speaker served in the USAF on active duty from 1956-1959 and remained in the USAF Reserves from 1959-1970, completing his military service as a Captain. He was a member of the 324th Fighter Interceptor Squadron, flying the North American F-86D Sabre all-weather interceptor. in a war. According to Dave, the visitor appeared disappointed that he did not fight. Dave explained to the visitors that his service as a pilot kept the country out of wars, which appeared to satisfy some. In speaking about Korea, our speaker noted that the first US Navy aerial combat victory was completed by a pilot flying a Grumman, F9F Panther jet. 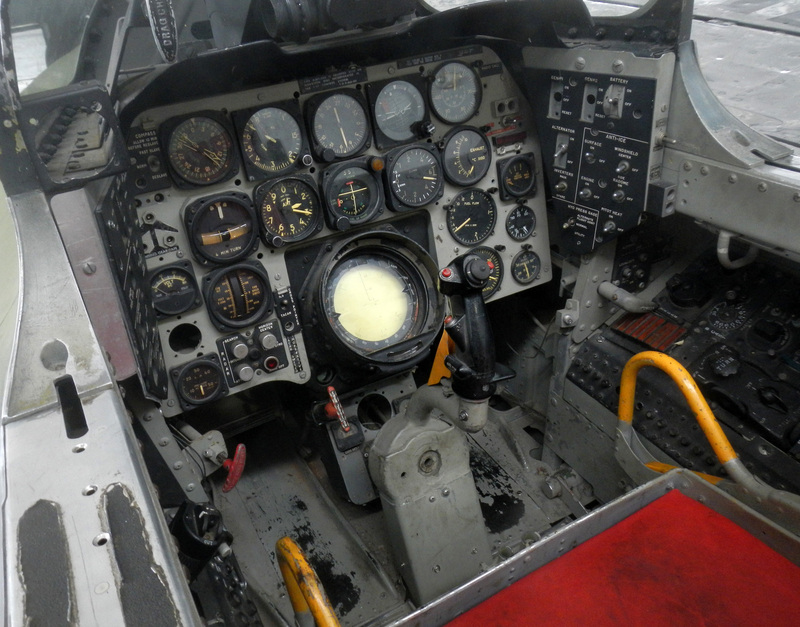 Other pilots who flew the Panther were: Royce Williams, John Glenn, Neil Armstrong and Ted Williams. Our speaker noted that the straight wing Panther faced a significant challenge against the Russian swept wing, MiG 15. However, the aircraft was credited with the first jet v jet victory against a MiG. The introduction of the swept wing F-86 Sabre contributed to providing comparable technical capability against the MiG, which was enhanced by the skills of the pilots flying the aircraft. The technical advancements of jet powered aircraft were demonstrated by the deployment in 1951 of the Boeing B-47 Stratojet. According to our speaker, the engine used in both the B-47 and F-86 were the same engine. In speaking about the engines selected for use, the original power-plant for the F9F Panther was based on a British design, the same design that Britain provided to Russia, which ultimately was used in the MiG 15. The 1950s saw the deployment of jet powered aircraft by the US and the then Soviet Union. Each developing a strategic capability, enabling them to carry and deliver nuclear devices that were tested and deployed operationally during that period. The US needed to develop and deploy an aircraft capable of intercepting potential military threats. 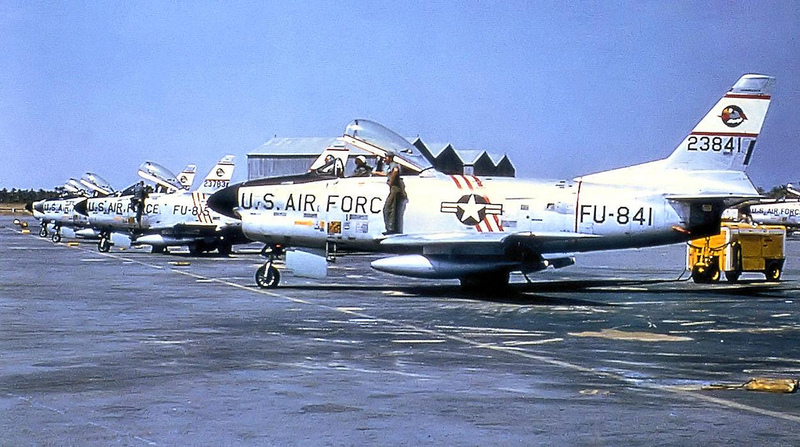 The aircraft first introduced operationally in the 1950s was the North American F-86D, All Weather Interceptor. Based on the original fighter design of the F-86, this aircraft has a larger fuselage, larger afterburner engine and a distinctive nose radome compared to the F-86 fighter. An additional feature of the D model was a rocket pod that was retractable under- fuselage tray carrying 24 unguided folding fin aerial rockets(FFAR). The pod could be deployed and the rockets fired within two seconds in salvos from 6, 12 or 24 depending on the target. Once fired the pod would retract, returning the plane to a more aerodynamic shape. Our speaker entered the US Air Force in 1955, was commissioned in 1956 and began flight school. Initial Flight training was in propeller-driven single engine aircraft; the Beechcraft T-34, followed by additional training in the North American T-28, a much larger and heavier aircraft. The first introduction to jet powered aircraft was in the Lockheed T-33. Dave expressed his pleasure in having flown this aircraft, especially when training for formation flying. Once again it was noted that the power-plant of this plane was based on a British design. 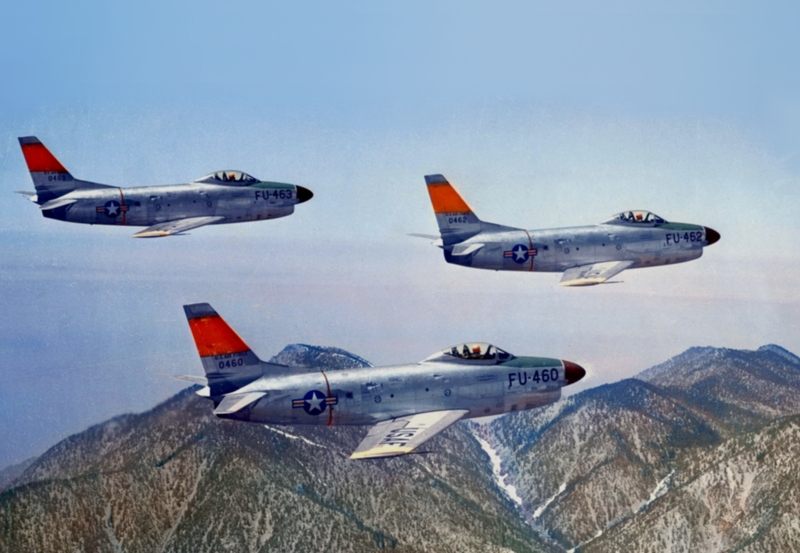 Interceptor training was carried out in the F-86D beginning in 1957. Upon completing training, Dave selected his assignment. Having grown up in Miami, both he and his wife wanted to see snow, so he selected Westover AFB near Springfield, Massachusetts and was assigned to fly the F-86D beginning in December 1957. Learning to walk, drive, taxi and fly in snow and ice proved a challenge. Assignments as an interceptor squadron required on duty crews to be on alert 24 hours a day, 365 days a year. When an alert was called, ground crews and pilot had five minutes to power up and launch. Dave indicated he was able to be off the ground on at least one occasion in just three minutes. Once airborne, aircraft were vectored by ground controllers to intercept simulated Soviet aircraft represented by either an F-86 or T-33. Other intercepts involved identifying non-military aircraft who either flew into restricted areas or failed to reply to radio calls. Interceptors would be vectored to the aircraft and make visual contact to identify aircraft registration numbers before breaking contact with the aircraft. Flight intercepts involved the use of ground controllers and onboard radar. The onboard system would be utilized when within 30-35 miles of the target aircraft. The pilot would maneuver their aircraft based on training requirements to be approximately perpendicular to the intercepted aircraft as it appeared on the onboard radar. However, while the information appearing on the screen was to indicate the course of intercept (ie; collision course), it did not include the heading necessary to avoid a collision. The crew of the intercepted aircraft would monitor the approach of the interceptor and notify the approaching aircraft should they fail to change heading in order to avoid a collision. Occasionally notification did not occur in a timely manner and a collision occurred. In 1958, the squadron was transferred from Westover in Massachusetts to a SAC base in Morocco, a location most of the squadron members were unfamiliar with. 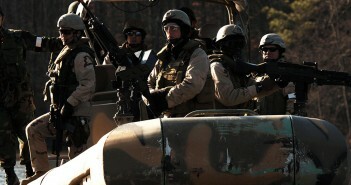 Training continued at the new base and coordination with other allied military units as well as civilian operations led to a “lot of interesting encounters”. An opportunity to travel back to the states and see his wife and new son was offered to our speaker. Travelling on-board a Boeing B-47 Stratojet became a 14 hour trip when the plane after arriving back in the US simulated numerous attacks against cities in the Southeast US before landing at their final destination in Florida. At the completion of his tour, an offer to re-up was considered and declined. With one month remaining in his enlistment and the opportunity for additional flight time unavailable, Dave looked for any opportunity to secure flight pay. Flight pay was obtained when completing a minimum of four hours within a month. The opportunity to fly to another base and deliver a package requiring a two hour trip was accepted and under-taken. Completing delivery of the package, Dave performed an unauthorized low level fly-by at the delivery base as well as a number of aerobatic maneuvers before taking an extended period to return to his home base and complete the four hour requirement, all on his last day of enlistment. Completing the presentation, Dave responded to a number of questions. Asked if the simulated intercepts included flying with live rockets; Dave indicated that all missions were flown without any live weapons. The only time live weapons were loaded on the aircraft were during live alerts, if the aircraft was released to conduct an intercept. While on reserve status, our speaker did not fly, due to his working on sensitive projects for his employer, which restricted his reserve assignments. The final statement from our speaker concerned design features of aircraft. A number of aircraft designs as well as weapon systems that existed at that time came from aircraft and records captured from Germany at the end of the war. Jet engines, leading-edge slats, swept-wing designs and rockets were all “spoils of war”.